The Bwindi Impenetrable National Park in Uganda houses more than half of our remaining mountain gorillas (Gorilla gorilla beringei). Their habitat is conserved, but this has implied severe local restriction on access to the park’s resources. Tourism to Africa is an industry in growth, and the outback safaris are highly popular. A large and growing share of land areas in the African continent are being protected and used as national parks. This safeguards fantastic biodiversity while creating an income-generating tourist attraction. But a potential «poverty trap» for the local people lurks in the shadows. In southwestern Uganda, on the border to the democratic republic of Congo, we find the Bwindi Impenetrable National Park where visitors are given the opportunity to stand face to face with some of our closest relatives: the mountain gorillas. There are just over 700 individuals left, and half of them live here, in the forests of Bwindi. So did several thousand people over a decade ago: the Batwas, a semi-nomadic indigenous group of hunter-gatherers who have lived in and of the forest from time immemorial. As legislation in 1991 outlawed hunting and gathering and gazetted the area as a national park, all Batwa communities were driven off their ancestral lands without compensation as they did not have formal ownership of the land. Also members of other local ethnic groups (mainly Bakiga and Bafumbira) who lived of the forest’s resources were denied access. 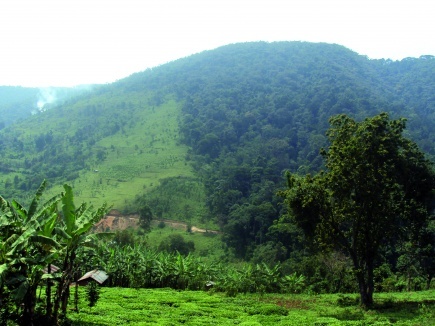 Only some of the Batwa Farmers who cultivated land were given compensation in the form of new land in the area surrounding the park as the Bwindi-Mgahinga Conservation Fund was established with funding from the World Bank’s Global Environment facility (GEF). The Fund has however not succeeded in its intentions to ensure the Batwa access to their cultural sites and burial grounds inside the park, or in granting controlled use rights for high-value forest products. On the other hand, no compensation was given to the other groups. The area surrounding Bwindi Impenetrable National Park has a high population density of over 300 persons per square kilometer, and the people who live here are among the poorest in the country. Some earn a paycheque by working as guides or porters for tourists, but the majority of the people make a living based on agriculture under hard circumstances. Many have to provide labor on farms to very low wages. At the same time ecotourists are flocking to the park, each paying over 500 U.S. dollars to experience close encounters with the amazing gorillas and to be at one with the immersive, afromontane landscape. Money comes rolling in. The question is: What is being done to improve the situation of the local residents? 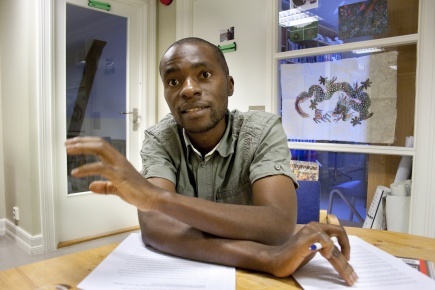 In a office in Parkgården at the Norwegian University of Life Studies (UMB) is David Tumusiime. He was born in Kabale in southwestern Uganda as a member of the Bakiga people, and he is familiar with the conditions people live under near the park in Bwindi. Until 2011 he is busy working on his doctoral thesis at UMB’s Department of International Environment and Development Studies (Noragric) where he analyzes the local people’s life situation and what is being done by the local and national government as well as international organizations to improve it. The thesis is part of the project «Protected Areas and Poverty in Africa» (PAPIA), where researchers from three other universities and research institutions conduct the same analysis as Tumusiime towards three other national parks in Uganda and Tanzania. Their aim is to identify and examine factors causing protected areas to contribute to poverty alleviation as well as of factors that might turn protected areas into «poverty traps». At the same time comparable data is gathered so that the parks could benefit from each other’s successful efforts of improving the conditions of the people who are deprived of their life-giving land. An important part of Tumusiime’s work is talking to people. – Through a series of interviews with locals, I found that there are very few who oppose the conservation of the area. People do not want to return to the situation in the 1980’s with extensive deforestation and poaching. People value that the park is protected, the problem is rather the way it is done, Tumusiime says. The most obvious problem is that only a small portion of the money generated by the park is being used to the benefit of the local people. For example, despite the fact that each tourist pays 500 dollar for a guided tour to see the gorillas, a share of these dollars hardly reaches the local people. The parastatal government body Uganda Wildlife Authority (UWA) has indeed determined that the local people should receive 20 percent of the money generated from the park entry fees. In total this equals five US dollars per visitor. – When the money is to be distributed among the residents living adjacent to the park, one immediatly realises it is only a small amount. One might expect that the park authorities donated more, Tumusiime says. A local government act states that it is not legal for the park management to distribute the money directly to the people. 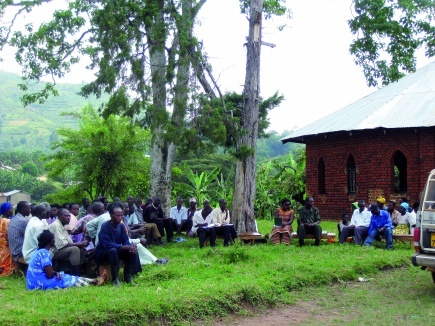 It is to be delivered at a third level of local government (the sub-county level) that then delivers it to the second level (the parishes) who later distributes it to the first level (the village) before it finally reaches the individuals now in form of individual household livelihood improving projects, but formerly in the form of community projects. – This demonstrates how long it can take before the park money gets to the local individual, Tumusiime says. • The project consists of comparative analysis of four cases of national parks: Bwindi (Uganda) and Mt. Elgon (Uganda), Kilimanjaro (Tanzania) and Mikumi (Tanzania). • Project aims are to contribute to the understanding of the complex relationships between protected areas and poverty, and to identify and examine factors causing protected areas to contribute to poverty alleviation as well as of factors that might turn protected areas into «poverty traps». • The area is part of the Bwindi Impenetrable Forest, and is located in southwestern Uganda, on the border with the Democratic Republic of Congo and up the Rift Valley. • The park was established in 1991, and consists of 331 square kilometers of jungle. The area lies between 1160 and 2600 meters above sea level. 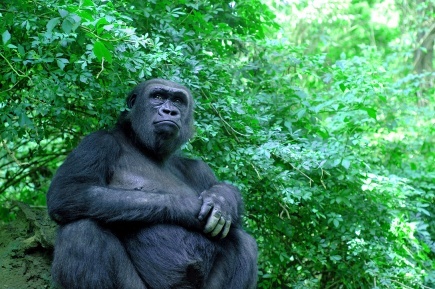 • The forest is listed as a UNESCO World Heritage List, and is one of the richest ecosystems in Africa. population of the endangered species.